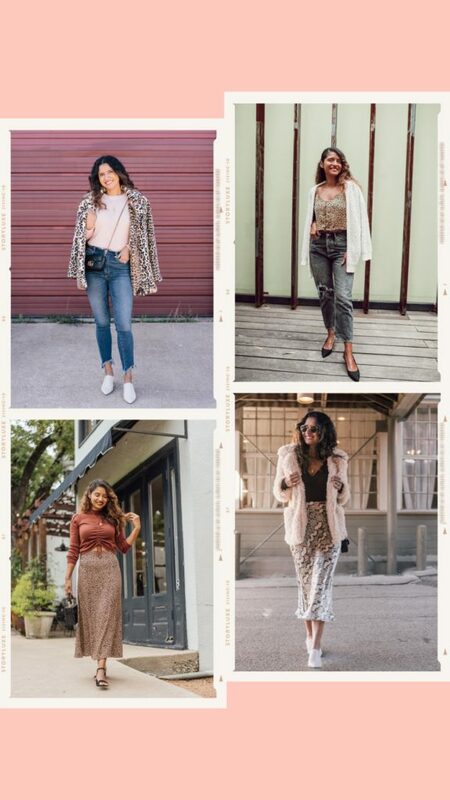 Who’s loving all the animal print that is currently in style. As you all know I was in New York with #nordstromlive and I had the opportunity to view all of their Spring and Summer collection. Animal print is still going to be a huge trend for the season. I just finished putting together 6 outfits to help you with your wardrobe. 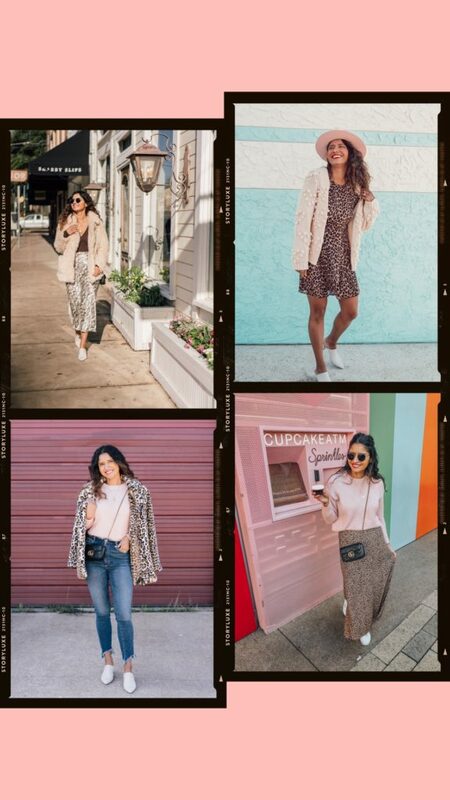 All of the outfits are perfect for any cold and warm weather and still look stylish. Look 1: Pinky Leopard Look- This look is still casual but chic. I love the color pink and why not mix leopard print with pink. Isn’t this look fun? Look 2: The Kitty Look- This casual style is so effortless. It’s a easy look to style. A animal print tank with a cute off white cardigan gives this look a effortless feeling. Look 3: The Autumn Look- I love mixing autumn colors with animal print. I like wearing a crop sweater with a long skirt. It still makes this look very stylish. Look 4: Taking all the fur out- Snake print is so fun to wear especially when you add a little fur to your look. Look 5: A easy layer- I think adding a fun layer piece such as a pom pom cardigan makes this outfit look pretty. Look 6: A simple basic- I really like wearing a pink sweater with leopard to compliment the look I’m wearing. Any pop of color will look great with animal print. I hope you all enjoy this blog post as much as I did writing it. Happy Thursday! I’m so excited to write this blog post for you guys. You all know I love working out 5 to 6 times during the week. The pass couple of weeks I been using resistance bands. I love incorporating these bands in my daily routine. It’s a great way to tone your muscle and get good results. I’ve also been doing a lot light weights using 10 to 12 pounds on my upper body. I do 20 reps to 25 to stay lean and get more muscle definition. As for my lower body I lift 20 to 25 pounds and do 20 reps also. The more reps you do the more definition you will see on your body. My other favorite thing that I’m currently doing is Elitecore Pilates. This is helping me with my flexible and core which I’m not that strong with. Everytime I’m done with pilates I feel amazing. Elitecore pilates is located here in Austin and I highly suggest trying it. Since I’m trying to work out more often I seem to be wearing a lot of athletic wear. It’s important to me to find a good pair of workout gear that is comfortable to workout in. I’ve never tried Fabletics until recently. I know a lot of girls wear it and love it. I had the opportunity to do a sponsor post with Fablectics and wear their athletic gear for the first time. I love the look and the fit feels comfortably. I highly suggest trying Fablectic if you haven’t yet. You guys can catch all my workout routine on my Instagram page and stories too. It’s that time of year again when everyone seems a little bit nicer and there is plenty of goodwill to go around. So you can see why December is my favorite month and Christmas is my favorite holiday. 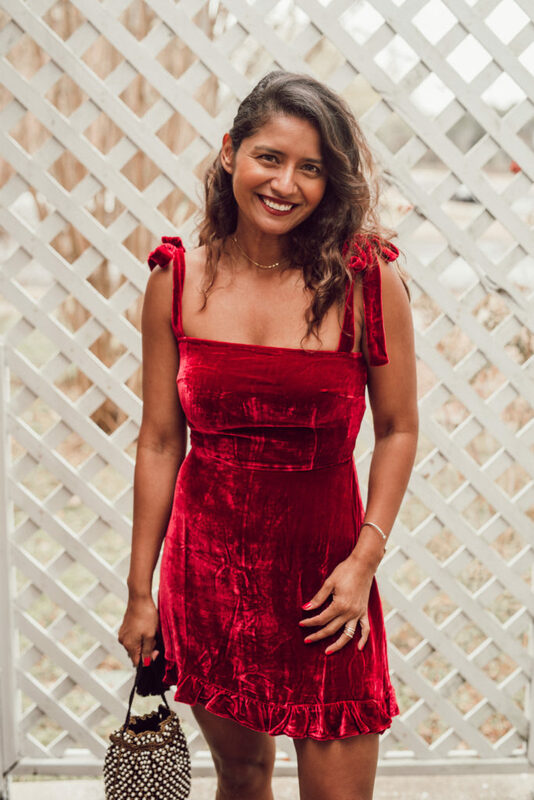 There are gifts to buy, parties to attend, decorations to put up and family to connect with. 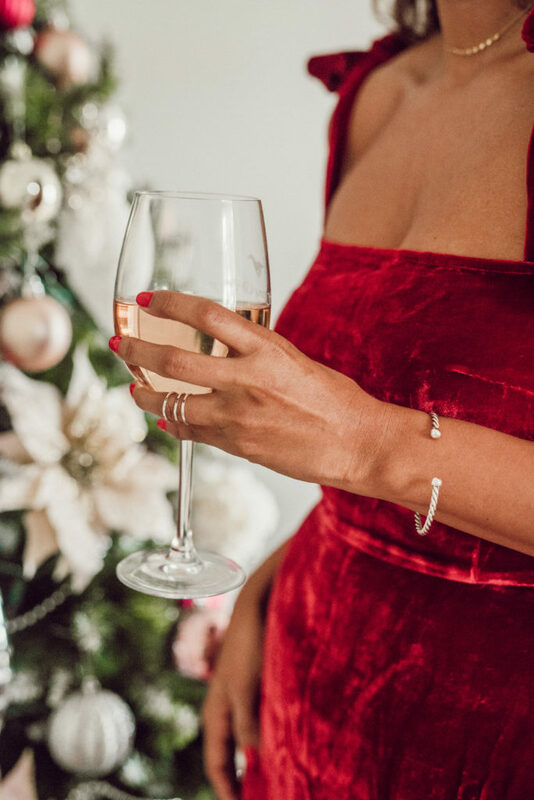 As I was thinking about the red dress that I would be wearing to the Christmas parties that I will be attending, I started thinking about how I would accessorize the dress; and the most perfect piece of jewelry came to mind. It is the sterling silver twisted wire cuff bracelet by James Avery Jewelry! 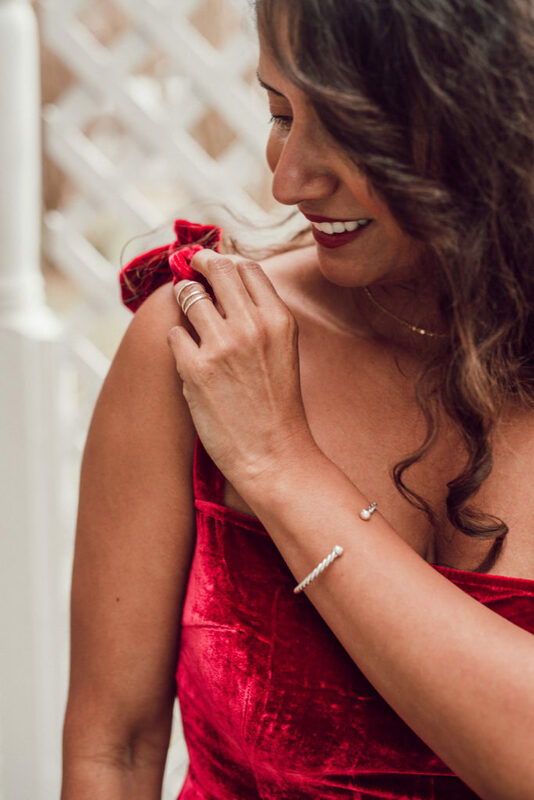 This piece is so versatile that it can be worn casually with a sweater and a pair of jeans or as a decorative piece of ice to wear on my wrist that will enhance my red christmas dress. I also chose the Delicate Forged stackable sterling silver rings that can be worn separately to show off the details of each ring. One thing that I noticed when I’m wearing James Avery Jewelry is that it evokes a sense of elegance and style. All of James Avery Jewelry is beautifully made here in Texas Hill Country and is created to celebrate life through the beauty of design. 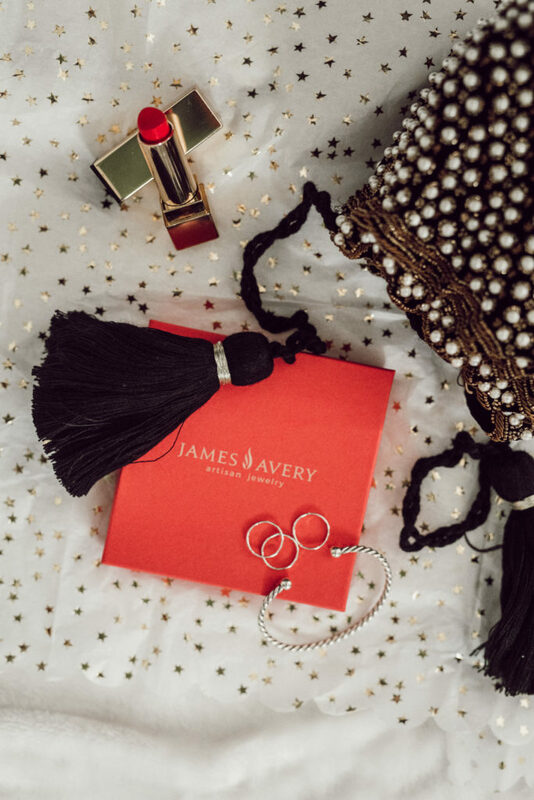 At James Avery Jewelry, they understand what makes a holiday special: family time, reflections of faith and the giving of thoughtful, meaningful gifts to the people you love. It is a family-owned company and as such, they understand the importance of recognizing that everyone has a story to tell. For them, their pieces have meaningful messages that they would like to convey to their customers. The message is that their pieces can show off your personal style! So thank you, James Avery, for enabling me to feel so special in your amazing jewelry. Listed below is the James Avery website so you can view their new releases and gift ideas for your loved ones.